Now you can charge up to 6 lipo packs with same capacity & cell count simultaneously with this parallel charging adapter. 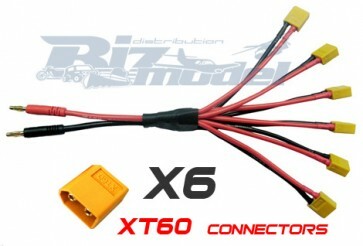 This allows you to save time and can be performed with any basic charger that can accept the common 4MM bullet connectors! Please check out our other items! We're liquidating thousands of new RC parts. All of our items are new in box.